The North Carolina Community Foundation has named Wilson Simmons as its chief financial officer. Simmons replaces David Ryan, who retired in early 2017. As CFO, Simmons has full management responsibilities for all financial matters of NCCF. He reports to Tolle Whiteside and is a member of NCCF’s leadership team. Simmons brings a broad background to NCCF that includes a mix of public accounting and industry practice. 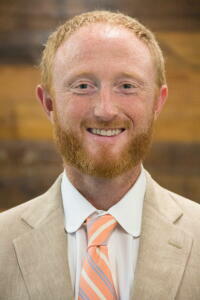 He most recently served as vice president of finance at the United Way of the Greater Triangle. Tolle Whiteside said NCCF was fortunate to have attracted a nonprofit professional with Simmons’ depth of experience to the CFO position. “We are so excited to have Wilson on our team and look forward to what his skills and professional experience will bring to the Foundation,” she said. Originally from Greensboro, Simmons attended North Carolina State University, where he received a bachelor’s degree in business management. He received a master’s of accountancy from George Washington University and is a certified public accountant.